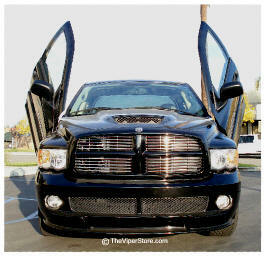 Add the Vertical or Lambo door hinges to your Dodge RAM SRT10. 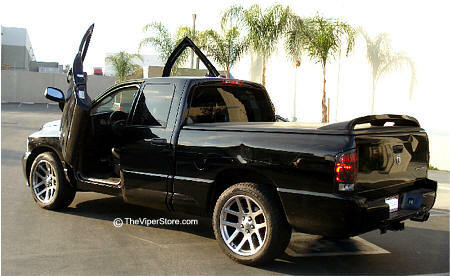 Really makes it look like a exotic show car! Includes a set of two hinges one for each door and all the necessary hardware. Use the same factory door wiring you have now. 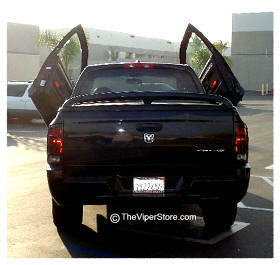 Having a hard time getting out of your Viper truck with the narrow door opening? 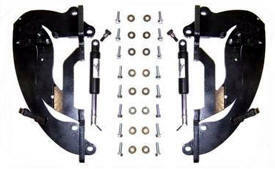 This will solve that problem and make your Prowler look like a million bucks. Made in America. For over 13 years 'Vertical Doors' has been the highest quality brand door hinges you can buy. These doors are handcrafted and assembled. Don't take a chance on other brands and have problems. These doors are custom made upon order.